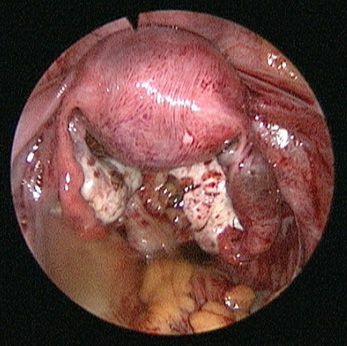 Ectopic pregnancy is the occurrence of a pregnancy in a site other than that of the uterine cavity. It is a serious condition and has to be treated promptly. It can occur in natural pregnancies and following procedures like Intra Uterine Insemination and Assisted Reproductive Technologies. It occurs as a consequence of current or previous tubal infection. The commonest portion of the tube where the pregnancy sits is in the ampulla. 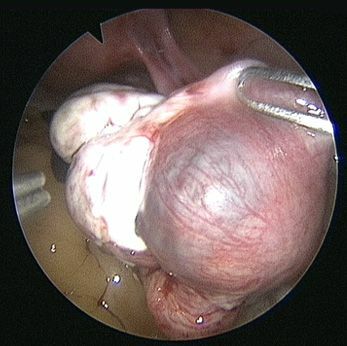 In very rare instances the ovary may be the seat of an ectopic. Sometimes it may also be due to transmigration of the embryo or egg to the opposite tube. The symptoms are a missed period or scanty flow on the expected date, giddiness and vomiting, most often accompanied by severe lower abdominal pain. Loss of consciousness may occur in undiagnosed cases. 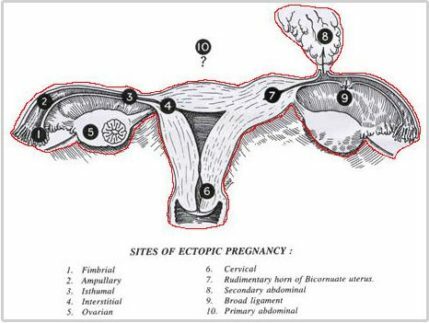 Ectopic pregnancy is characterized by a slow rise of Serum b-HCG values instead of the usual doubling. For example, calculating from the first day of the previous menstruation, if b-HCG level on the 25th day of pregnancy is 60–120 mIU/mL, then on the 27th day of pregnancy, it would be 120–240 mIU/mL. But in the case of ectopic pregnancy, this doubling does not occur. Serial serum b-HCG test is to be done as per instructions given by the consultant for them to decide the best mode of management. The diagnosis is also confirmed with ultrasound and blood flow studies (Doppler) during which the sac may be visualized in the region of the adnexa close to ovary. The treatment may be medical with methotrexate (chemotherapeutic agent) given either as oral medication or an injectable, depending on the combined laboratory and clinical findings. If surgical intervention is decided upon then laparoscopic surgery will be performed in most patients who are hemodynamically stable. 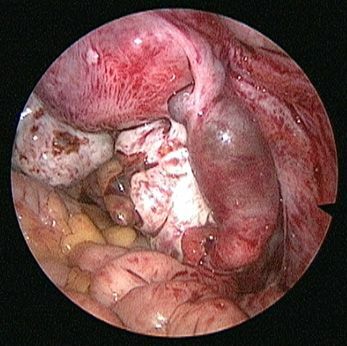 In cases where the patient presents late with the symptoms or the pregnancy has ruptured with bleeding into the abdomen laparotomy (10%) is performed. The affected tube is most often if not always removed after examining the opposite tube and assessing the patient’s chances of future conception. Even with one healthy tube it is possible to conceive. In our experience removal of tube almost always reduced chances of recurrence and helped improve pregnancy rates by either trying for conception with the opposite tube or with ART.